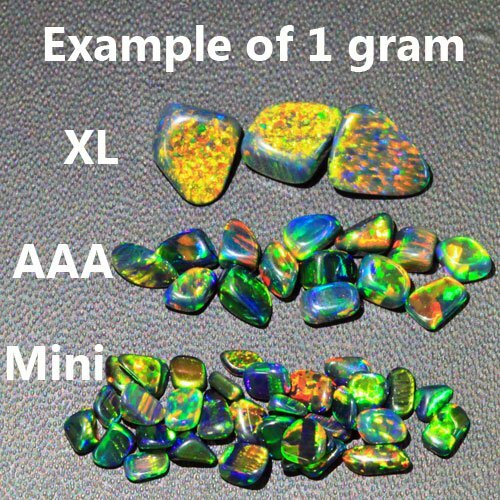 RGB - AAA quality - tumbled created opals for glassblowing. 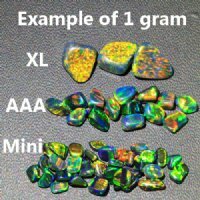 These AAA tumbled RGB opals have an opaque black base and flash red, blue and green (green dominant). 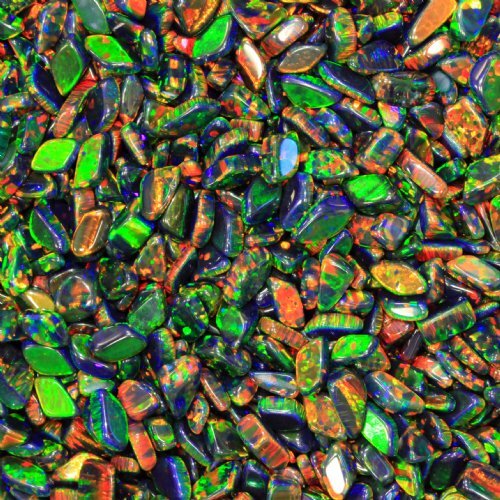 These stones flash in a way that is quite different than our (normal) black opal which is red dominant. 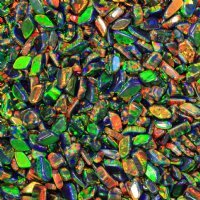 Our AAA tumbled opals are made from the same top quality material as cabochons, but they are tumbled instead of cut, and the savings are passed on to you! While each batch is different, you can expect 10 to 18 pieces per gram, with each piece being between 3mm and 6mm approx. If you have a size preference, please let us know during checkout.